CHOICES promotes the vitality of Paris artistic scene to both local and international audience. CHOICES focus on galleries that vary in shape and size and which offer a rich and diverse overview of contemporary art in Paris. Engaged to highlight the great job done by gallerists, CHOICES seeks to reach out to collectors and art professionals as well as to the general public. 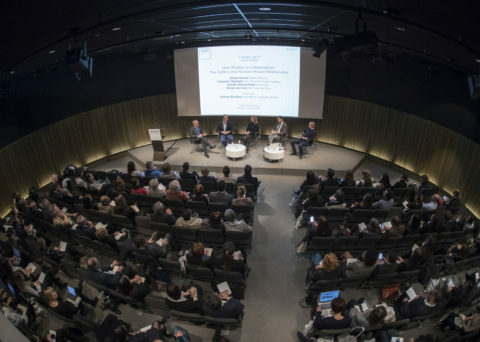 Therefore, CHOICES organises talks and communication campaigns but also orchestrates Paris Gallery Weekend, its key event for four years. Created in 2014 by Marion Papillon (Galerie Papillon), Paris Gallery Weekend is now settled as the major art event in Paris during spring and gathers around forty modern and contemporary art galleries in Paris. In organising Paris Gallery Weekend, CHOICES especially wants to create a momentum in galleries: two festive days of vernissage and rendez-vous—performances, talks, brunches, and many other activities—which foster encounters between artists, professionals, collectors and amateurs. 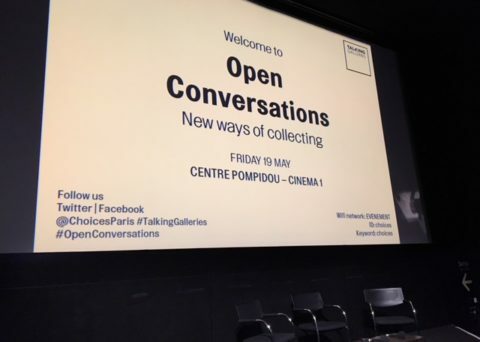 Key event organised by CHOICES, Paris Gallery Weekend established itself as the major moment in modern and contemporary art galleries during spring. For two festive days, galleries warmly welcome visitors for vernissages and Rendez-Vous (performances, talks, brunches…) which foster encounters between artists, professionals, collectors and amateurs. For the first time, a team of volunteers is dedicated to help the visitors navigate from one gallery to the other, in Matignon, le Marais and Saint Germain des Prés. Guided tours are also offered by our partners to let you discover the exhibitions and appreciate the works in details, some of them theme-based.